Was $499 getting a bit higher from your budget to buy a Tab.? Now it’s the perfect time for you to go to the market and get your hands on the Fusion Garage Grid 10, as Fusion Garage have decided to slash their price for the Grid 10 models by a huge $200. Recently we have seen a great demand for the HP Touch Pad model when they reduced its price to a mere $99, though it was kind of stock clearance sale as they have stopped producing the TouchPad. Though there is no such motive according to Fusion Garage the price cut was not because the company is desperate to sell their tablets – but rather due to the ability to negotiate a better supply chain pricing from its manufacturing partner. They were working with its ODM on the price for months and also had intensions to release the model with the tag $299 on the 15th of August. As the negotiations did not progress as intended, the announcement was delayed till now. 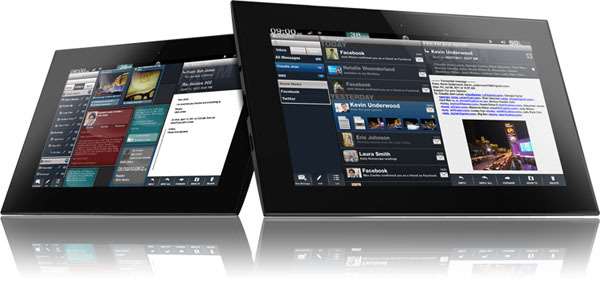 Now they believe as they have reduced the price of the model, Grid 10 will not be listed in the premium segment tabs as iPad2. For those who don’t know much about the model, Grid 10 is a 10.1inch Android tab with a dual core Nvidia Tegra 2 processor which provides a speed of 1GHz. It has a 4 point capacitive touchscreen panel with a resolution of 1366 x 768pixels. This model is also provided with a 512MB RAM and storage of 16GB. Other specifications include 1.3megapixels of camera, Wi-Fi 802.11 b/g/n, Bluetooth 2.1 + EDR, microSD Extension, GPS/AGPS, 3-axis Gyroscope, Accelerator and Ambient Light. The model weighs 1.52Pounds and a battery of 5800mAh runs this device. The shipping of the Grid10 will commence from 1st of October because of a delay created because of waiting for the new criteria in Adobe Flash Player 10.3 to get approved under the DCTS testing process.